-Have any part of their bodies over the boundary line before the ball has been thrown-in across the boundary line. Penalty - The ball is awarded to the opponents for a throw-in at the place of the original throw-in. My question is with respect to never having seen this rule applied in this fashion. In fact, in every scenario I have seen where this rule would come into play, officials commonly issue a warning and then if it happens again a Technical Foul is assessed. This type of Technical foul is included within 36.3.1 (Delaying the game ... by preventing a throw-in from being taken promptly). 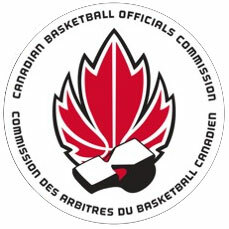 Article 17.3 and 36.3 seem to conflict with one another, in that 17.3 does not reference a warning, only a violation, and it would seem that repeated violations of this type would be continue to be judged as violations and not carry the greater penalty of a Technical foul as 36.3 would seem to advise the official. Maybe 17.3 just needs to be reworded to clarify that the violation should include a warning for delay of game and any subsequent action of the same type by any member of that same team may result in a technical foul. Remember, in the first article above where a player simply has any part of their body over the boundary line, any deliberate or repeated non-cooperation or non-compliance with the spirit and intent of this rule shall be considered as a technical foul (Art. 36.1.3). I would presume that if a player repeatedly places any part of their body over the boundary line, they would be trying to gain an unfair advantage by slowing the game down – warning issued and then a Technical Foul.